Many women experience digestive issues during different times of their lives. Taking birth control pills or antibiotics, dealing with chronic stress, alcohol consumption, lack of sleep and an imbalanced diet are just a few reasons. You may have read or heard about the benefits of taking probiotics and enzymes for your digestive health. But do you know the difference? Here is a short explanation. Probiotics are living bacteria that the human body needs but does not produce. Probiotics help support your digestive system to help it function properly. Since the human body does not produce probiotics, you need to consume them. Probiotic supplements are an option. 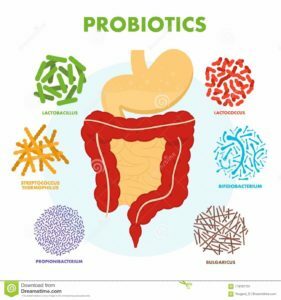 I recommend working with a gastroenterologist or naturopathic doctor to determine what kind of probiotic supplements you should take as there are many kinds. You can also eat foods that contain probiotics which is what I do every morning with a cup of plain, non-fat Greek yogurt and a glass of water with a tablespoon of apple cider vinegar. 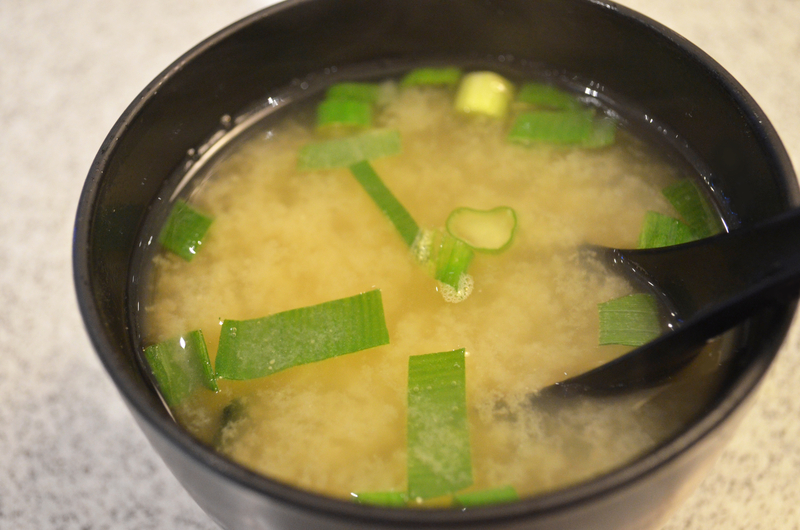 Other probiotic foods include miso soup (great for breakfast! 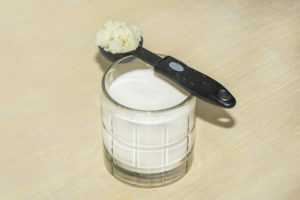 ), kombucha, fermented vegetables, tempeh, kefir, cottage cheese, and some cheeses (consumed in small amounts) like cheddar, mozzarella and gouda (look for the words “active cultures”). Enzymes are also important to your body’s digestive system to help break down the chemical nutrients in the foods you eat and convert them to energy. Unlike probiotics, the human body produces enzymes through the salivary glands, pancreas, stomach and small intestine. In fact, the human body produces several different enzymes used to break down specific types of food nutrients (e.g., fat, fiber, protein). When your body is unable to produce and absorb enzymes, a deficiency can occur. Depending on the deficiency, this can lead to other conditions including a food intolerance, abdominal discomfort, bloating or irritated bowels. A deficiency can also affect your immune system. As with probiotics, you have the option to take supplements, again under the supervision of a gastroenterologist or naturopathic doctor. Or you can consume enzyme-rich foods. Some examples include: raw fruit and vegetables, fermented foods, kefir and raw honey. Now that I’ve provided this overview, I invite you to tune into Fearless Fabulous You! Wednesday, September 26, for my discussion with Board-Certified Gastroenterologist Dr. Liz Cruz, Founder of Dr. Liz Cruz Partners in Digestive Health. 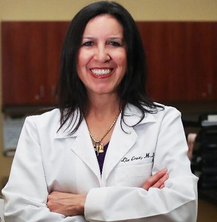 Dr. Cruz is a Diplomate of the American Board of Internal Medicine and the American Board of Gastroenterology. She is a member of the American Gastroenterological Association and the American Society for Gastrointestinal Endoscopy. Dr. Cruz also sells her own line of supplements including her trademarked Everyday Enzymes. Full disclosure, both Drs. Ghannoum and Cruz sent me their supplements to try in preparation for their show appearances. I try everything at least once before I interview my guests. Since I try to follow a probiotic and enzyme -rich diet, I couldn’t feel a difference, but that is just me. And, I do suffer from “reflux attacks” when my stress-o-meter hits a high and my sleep-o-meter hits low. So, taking both can make sense to “supplement” but not “replace” a balanced, healthy diet. Right now, going into the busy season for me in the wine industry, I plan to start supplementing since I know my system will be taxed. This edition of Fearless Fabulous You! will air live Wednesday, September 26, 12 noon EST. All my shows can be heard- and downloaded- anytime on the free iHeart Radio App or you can listen on any computer at iHeart.com.